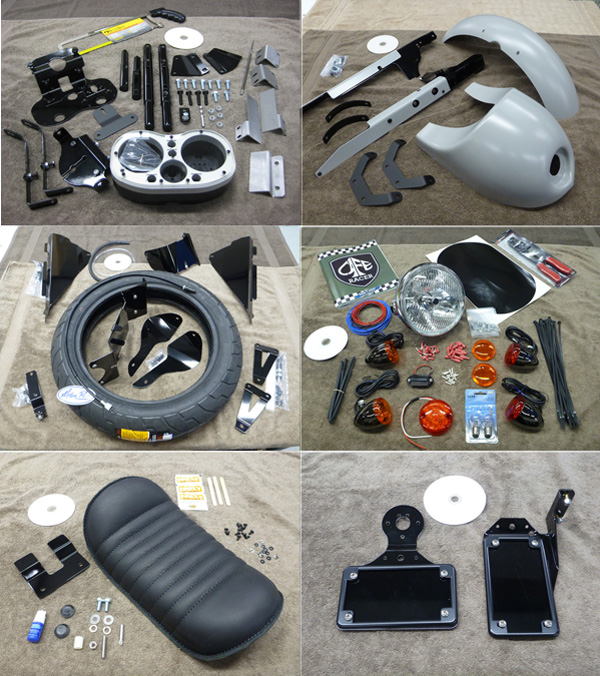 A complete Cafe Racer in two large boxes!!! 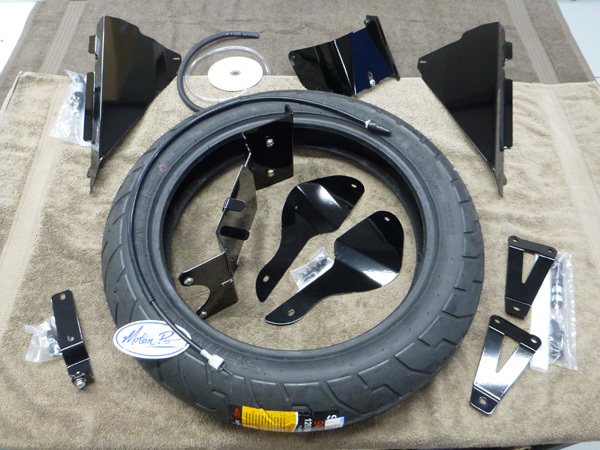 All brackets are either steel or aluminum and powder coated gloss black. 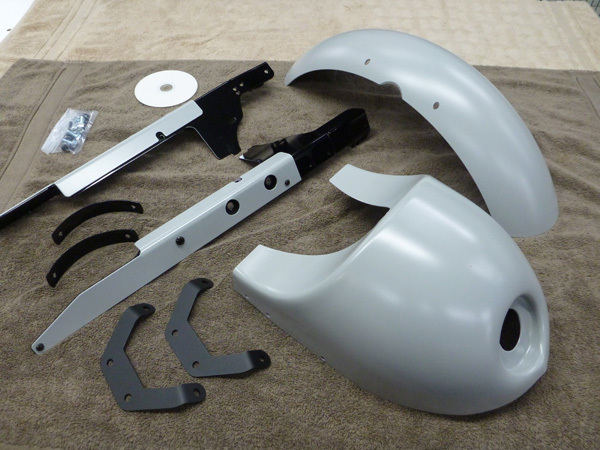 The front and rear fenders and side trim pieces are formed from thick aluminum and powder coated with a grey primer. 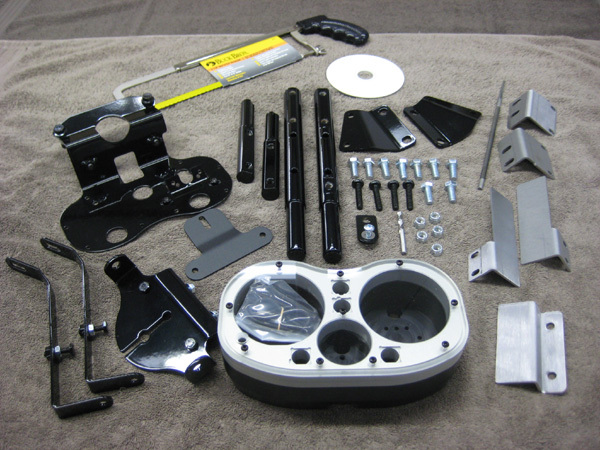 The gauge housing is all CNC machined and ready to accept your stock instruments. 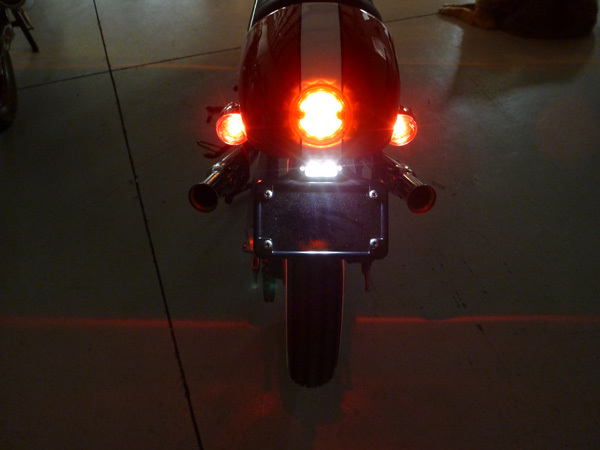 Included is a new speedometer cable. After cutting the passenger seat area (we even include the saw and precise cutting guides) the new seat posts will be epoxied into place. We include the “3 Hour” epoxy. 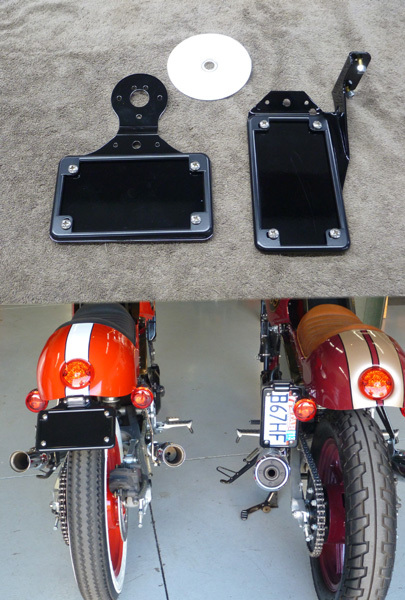 There is no welding and you will drill two holes and safety bolt the new heavily gusseted seat brackets into place. Our installation video, located just above the products, will show how easy they are to install. Be sure to click on the upper left hand corner of the video to see the list of videos to choose from. The black side covers are easily removable with thumb screws. 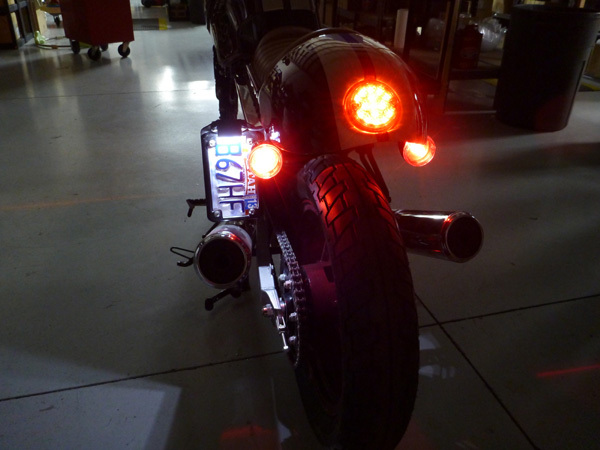 The lighting is totally complete and includes everything. 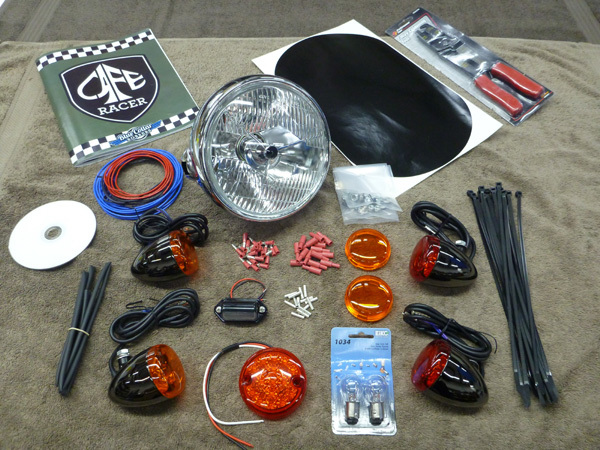 Huge 7 1/2″ Tri-bar halogen headlight, four fantastic black nickel double filament signal lights, and super bright LED tail/brake light and separate LED license plate light. Again, our dvd will guide you through the installs and we even include a crimping tool! Our seats are the best! 12 gauge steel pan, covered with 2 inch “top quality” foam. We use thick chap leather and you can choose from either black or natural color. The seat removes with one thumb screw for fast access to your battery compartment. Included is a 120/80-16 Shinko front tire. The stock tire is too small for a vintage racer look. We also include 4 installation dvd’s. The quality is better than cramming all the info onto one disc. Check your local laws as to the license bracket. Some areas don’t allow the vertical bracket. You can choose between the vertical side mount or horizontal tail mount brackets.